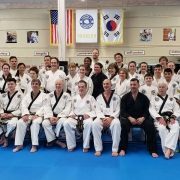 Master Tony Morris and Master Michael Dickinson, on behalf of Asheville Sun Soo Martial Arts, would like to thank Grandmaster Kim, again, for coming to Asheville for our Saturday May 12 Traditional Taekwondo Special Seminar. 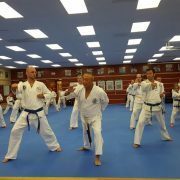 Over 130 students participated across all belt ranks and ages (5 years old -79 years old!). The seminar covered a variety of topics, as well as technical development. There were 2 separate sessions, the first lasting 1-1/2 hours, was dedicated to lower and middle belt ranking kids. 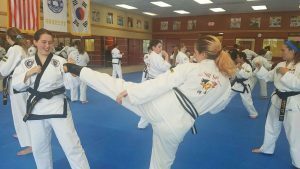 This session helped them light the fire of excitement about their practices and opened their eyes to the opportunity of having a lifelong Taekwondo practice. 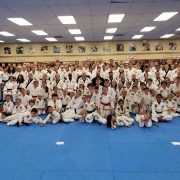 The second session lasted 3 hours, and was dedicated to kids ranked red belt and higher, as well as teens and adults of all ranks. This seminar section included a variety of topics, technical clarifications, and introduction to some new technical variations. 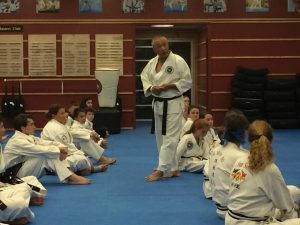 Each session ended with a question and answer session with Grandmaster Kim, helping students gain insight into his personal history, as well as the lineage and history of Traditional Taekwondo and the place we all hold within that framework. Although it seemed to be over quickly, our time with Grandmaster Kim, as always, was impactful and enlightening. What a great contribution to our collective practice! Asheville Sun Soo to Host All-Ranks Special Seminar Conducted by Grandmaster Suk Jun Kim! 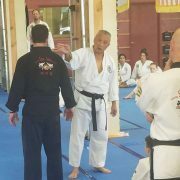 On Saturday May 12, Asheville Sun Soo Martial Arts will be holding an all-ranks seminar as an excellent boost to and extension of our students’ martial arts practice. This seminar will be conducted by Grandmaster Suk Jun Kim, 9th Dan, President and founder of Taekwon-do International, and teacher of Master Tony Morris. 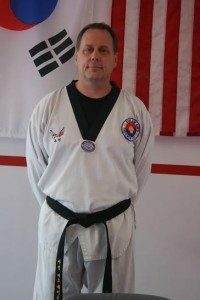 Grandmaster Kim is a direct student of General Choi, the founder of Traditional Tae Kwon Do – the primary art taught at Asheville Sun Soo. 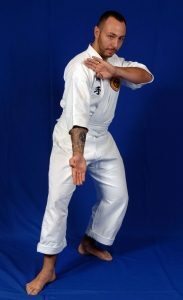 He was involved with TKD at its inception, and was a chosen member of General Choi’s International Demonstration team, traveling the world for decades – helping to introduce this art to countless thousands. He is an excellent instructor, and we are highly anticipating his visit. It is always a benefit to a practice to work with highly skilled practitioners and instructors, and Asheville Sun Soo is fortunate that he will be making the trip down to work with our students. 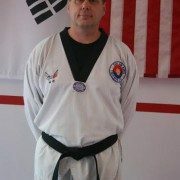 We are excited to host him, and Grandmaster Kim is excited to be here with us all! There will be one 1.5 hour session for children 10 and under, and one session for older children, higher ranking children, and all adults lasting 3 hours. Class credit is available for all participants! Remember we will not be having regularly scheduled kids’ classes (with the exception of Mighty Tigers and Mighty Lions, who will be meeting for their regular Saturday class) on Saturday due to this event. Kids Seminar (open to all kid practitioners 10 and under or blue-red belt and under). This will run from 9am – 10:30am and will be worth 3 class credits. Adult Seminar (open to all adult practitioners, as well as kids red belt or higher). This will run from 11am-2pm and will be worth 6 class credits. 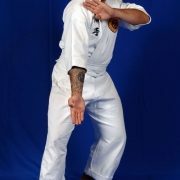 https://www.martialartsasheville.com/wp-content/uploads/2017/07/grandmasterkim.jpg 547 972 Ms Smith https://www.martialartsasheville.com/wp-content/uploads/2017/07/Logo-Dark-Background-300x198.png Ms Smith2018-05-09 15:48:262018-05-11 11:50:51Asheville Sun Soo to Host All-Ranks Special Seminar Conducted by Grandmaster Suk Jun Kim!